Entrepreneurs wanting to start an online business are spoiled for choice these days. Ecommerce shops provide a modern commercial venue for thousands — if not millions — of products and services. You started making your choice by researching industries aplenty, seeking one that’s expected to experience explosive growth in your marketplace. After all, you want to earn financial success. …Hmmm, you love pets, and like to cook and eat well. But somehow selling either pet care or grocery products online doesn’t float your boat. Besides, those sectors already sport long lists of both bricks and mortar and ecommerce merchants. So you continue your research. Finally, you read an article in Forbes highlighting projections for legal sales of cannabis — forecast to explode to upwards of $22 billion by the year 2020. The legal cannabis industry: a relatively new market, not yet crowded, and set to explode. That’s more like it! Yet something holds you back. Because the legal status of cannabis sales throughout North America remains on shaky ground, and you’re not sure you want to go there… So you keep reading and pondering. Then you see it: “Thanks to recent updates in cannabis legislation, retail opportunities are exploding for retailers selling related accessories…” That’s it! After all, it’s still legal to buy your grandfather a new pipe for his birthday. Nothing shady about that. 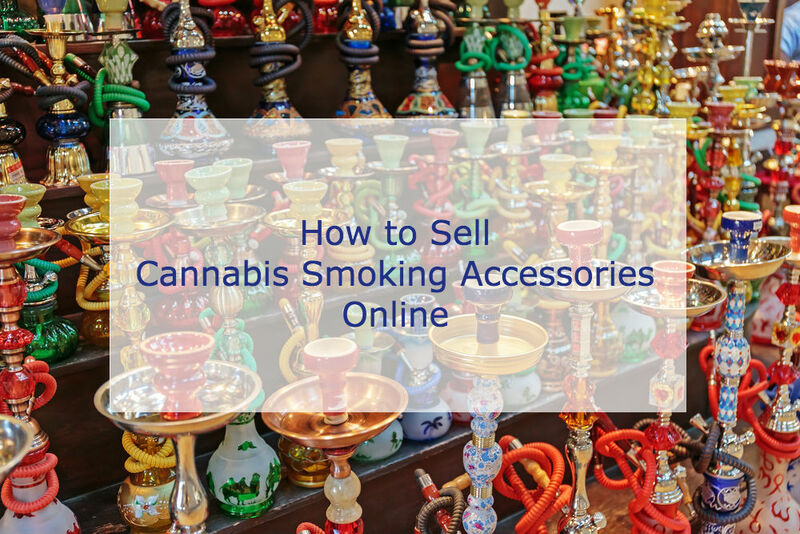 An ecommerce business to sell cannabis smoking accessories offers everything you want in a new business opportunity. Let’s take a look at a few how-to ideas. First, a gentle reminder that cannabis remains classified as a Schedule 1 drug according to the U.S. government, so selling it in any form is against federal law — regardless of what state legislatures do. For now, Canadian law also still prohibits recreational marijuana use. The proposed Cannabis Act under consideration by Canada Parliament could legalize recreational use of cannabis, with a target date of no later than July 2018. Change at the U.S. federal level is considered much less likely in the near term. Times are changing, but merchants shouldn’t get ahead of themselves. No matter your personal views about marijuana use, most financial institutions take a hands-off approach with merchants in the industry — including online merchants of cannabis smoking accessories. Be prepared to attract a “high risk” label from most banks, the major credit card brands, and many payments processors. We’ve talked about running high risk businesses before. It’s not insurmountable, but does add complexity and challenges that merchants must deal with. Entrepreneurs attracted to the cannabis industry — but who don’t want to grow, cultivate, or sell weed — have viable options to create and grow businesses in the industry. Two examples: design and produce cannabis smoking accessories, or purchase them for resale. It just so happens that cannabis users purchase the same tools used by smokers of all sorts of tobacco and plants. Yes, tobacco products are regulated, but they’re not illegal for adults to purchase and use. Consider marketing one of the challenges merchants of cannabis smoking accessories face, both bricks and mortar and online shops. Of course, good business plans include a marketing section. Even in a heavily-regulated industry, it’s possible to utilize creative marketing riffs to get your business off the ground and to help it thrive. Social media and online advertising may be off-limits to merchants selling cannabis smoking accessories because some view them as “drug paraphernalia” — which are illegal unless traditionally intended or sold for use with tobacco products. Currently, platforms like Facebook and Google AdWords don’t allow ads promoting the use of recreational drugs (like cannabis) and the associated paraphernalia. Even so, canny entrepreneurs operating in the cannabis smoking accessories sector have found ways to creatively utilize social media accounts to help grow their shops. Find inspiring stories and examples of this and other successful marketing hacks here and here. You’ll find that it really is possible to build a six-figure cannabis business without selling weed. Streamlined payments processing is important for all cannabis smoking accessories businesses, but especially for those merchants who choose to find their fortunes online. Today’s shoppers just aren’t willing to deal with clunky or complicated payment procedures. And they care a great deal about payment transaction security, and the security of their personal information. Working with the right payments processor — who specializes in high risk payments — may be the most important choice made by online merchants who plan to sell cannabis smoking accessories. That’s because the right specialist has payments industry expertise, a stellar reputation, and banking relationships (both domestic and foreign) that he’ll leverage to help you succeed. Choose a specialty processor who treats you like a business partner, and who provides consultative assistance on chargebacks and fraud issues (that inevitably arise). For example, see these tips on how to optimize your customers’ ecommerce experiences, reduce cart abandonment, and streamline the checkout and payments processing to boost conversions on your website. So you can earn the financial success you deserve.